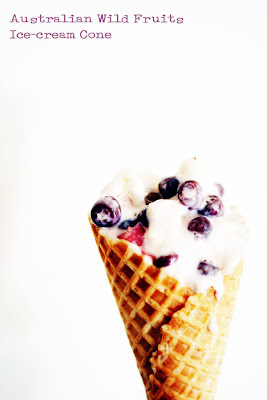 Take some creamy vanilla ice cream, gently combine with some Australian Wild Fruits and a bit of the syrup. Add to cone. If the ice cream melts while mixing, freeze again until firm. Oh Yum Danielle, I so have to try this!